For the past 18 years, David Levin Entertainment has had the best small swing bands in the U.S. We select these groups according to their overall sound and performance. The bandleaders we work with are very talented musicians with decades of experience and are great to work with. They hire "A" players for their key positions (trumpet, for example). Two of the pianists heard with these bands are what we in the business refer to as "monster players", meaning they are sensational musicians. The drummer in our East Coast group is another "monster player". Some of these groups play big band arrangements (the 8-piece or larger). Our East Coast group (with it’s highly-regarded Sinatra-style vocalist and drummer) is a 5 to 8-piece. We have two Southern California 5 to 7-piece groups, one with a superb female vocalist and the other with a terrific male vocalist (not seen on this page). 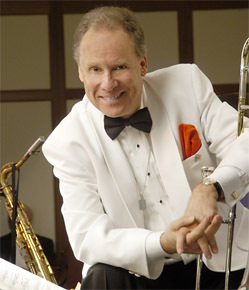 We have an excellent group in the Palm Springs area that plays large group arrangements. Our 7 to 8-piece Las Vegas group plays Nelson Riddle arrangements as you will hear on their live video. We also offer a hot jump group out of the S.F. Bay Area. 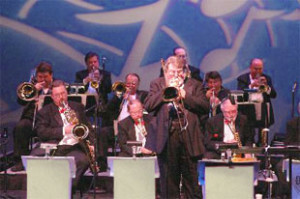 Like the groups they emulate, most of our groups provide bandstands for their performances for an elegant, classic look. These groups do not play covers. If you're looking for a group that plays swing and covers, you might consider one of our high-end show bands or consider hiring a dj spinning covers during the late hours of the event following the performance of one of the groups on this page. Most of our groups on this page have a limit of 3 sets though some will play 4 sets if requested. All of our groups provide ipod or tracks for a preheat set usually at no extra charge. These groups tend to cost about a third or a fourth of what cover groups charge. David Levin knows quality music and performance! He was one of four pianist-proteges of late great Johnny Guarnieri of Benny Goodman and Artie Shaw fame. 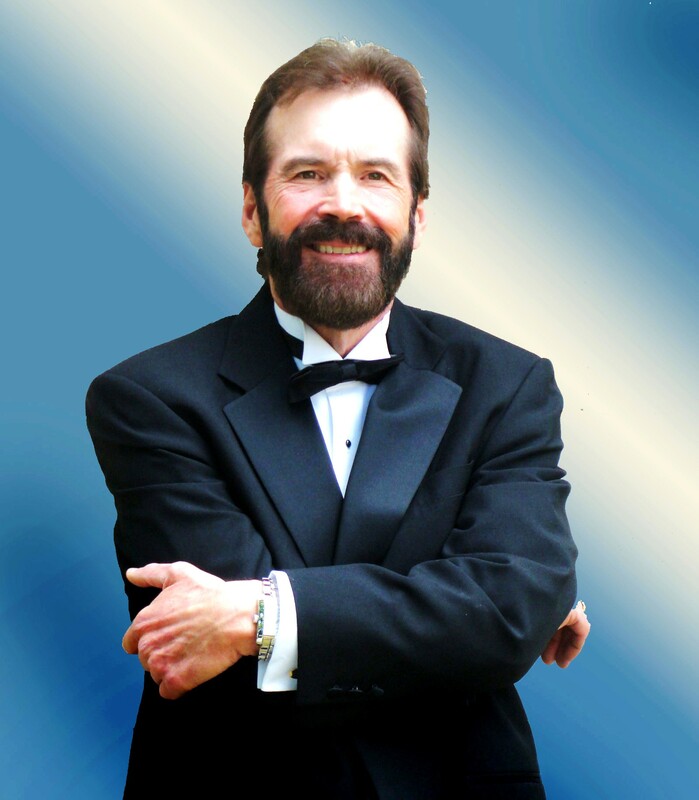 He was full-time pianist at The Rainbow Room in New York, has performed for heads of state and at The Western White House. He's also been a jazz bandleader, manager, arranger and voice coach. With more and more clients hiring smaller groups and with attrition, our bands have become even more essential to the entertainment world. Many DLE clients want "the big group sound" but there are only a few small groups that provide this at a high quality level. David Levin Entertainment has these groups for our clients. DLE bands perform anywhere in the U.S. and are available with or without vocalists. They enjoy traveling, so don't be concerned about flying in a great DLE band! Our East Coast group will bus in to Washington, D.C. for events, saving our clients there a lot of money. The JS Swing Band (a 7-piece featuring a superb female vocalist) is dedicated to preserving the classic and often overlooked small group swing from the late 1930’s and early 1940’s. 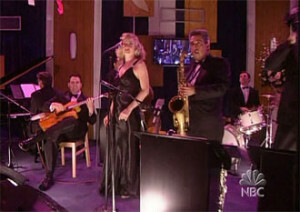 The TH Band (a 9 to 10-piece) was founded in 2002 and is one of Southern California’s most experienced small swing bands. 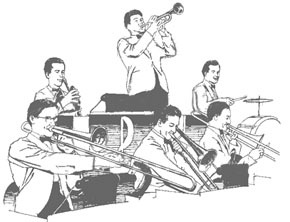 Unique to this group is its 5-piece reed section–4 saxes and 1 clarinet–which give it a truer “big band sound” than other small swing bands. DLE is proud to offer the best in Louis Jordan/Louis Prima-style jump swing bands for our clients and one of the best small dance bands in the country–The DLE Jump Swing Band (a 6-piece, featuring 2 horns and a hot new male vocalist). “Jump” is still a popular request of many wedding couples, due in large part to its driving beat.